If you love and respect yourself, you are ready to love and respect others and everything else. To love yourself is to respect how you treat yourself, your own home: your body. Life on Earth can be fragile and looking after your health by changing your lifestyle will make you feel better, giving you more respect for yourself. Perfumers are responsible for every product they put on the market. They should have the full knowledge of the composition of their products, the effect the product could have on consumers. They should make sure that the production chain will also be respectful for consumer’s health. Acting ethically and with self respect, requires perfumers to never intentionally offer something to others that you will not use yourself*. We are made by Nature. Earth is our small planet and we need to make sure everything we do will not damage the Earth and its eco system. We need to be aware that what nature offers us has always been free. We usually just take from Nature and forget to be thankful for all the wellbeing that nature provides us. We should always take time to think about this and to be thankful. We should also replace what we’ve taken by replanting to rebuild the Earth’s eco-system. Replanting flowers for perfume on the Earth will also bring back bees, other pollinators and replenish the eco-system. Perfumes are gases, mixed in the air and are very critical for the environment as they contribute to the water cycle that might pollute oceans and seas. When all the chemical compounds get in the air and mixes, anything other than Natural might become a problem. Packaging and toxic chemicals are the most important elements of degradation of the earth so all packing material used should be recyclable and/or re-useable. We should limit this significant amount of packaging material and rethink packaging for perfumes. Perfumers should may be use multi packaging for very exceptional and rare luxury gifts to be kept as collectibles. Perfumers should list all ingredients on their packaging without revealing their trade secrets. If the product is natural, perfumers should use botanical names to describe their products. To make sure product quality is respected during the entire supply chain (since perfumers are not growing and distilling their own plants and flowers) perfumers need to make sure their suppliers are trustworthy and certified*. We should make sure that our perfumes are animal cruelty free (no musk; no animal testing). Animal testing should be definitely replaced by human cell tests as they are more efficient. If perfumes should be tested, final products should be tested on humans. Growers should also make sure that plants are replanted correctly not to damage the eco-system. They should also make sure the work is done with respect for human labor. Perfume has its own unique values of quality, flower and plant benefits: values that today’s consumers are looking for. Consumers are becoming more and more aware of the importance of improving their lifestyles; they reject eating processed food or smelling processed perfumes. They want to disconnect from synthetics and feel a physical and biologic need to Reconnect with Nature. New Luxury Perfumes are Perfumes made with Naturals. Beauty is always a blessing for consumers. Therefore it is important to choose designers and perfumers carefully to make sure they are making a real impact and are positively inspired. Art is a blessing and inspiration can be contagious. Beautiful presentations are kept and collected as pieces of art. Perfume should be advertised truthfully and transparently, without lies or misrepresentations. If a perfume has no flower or plant ingredients, it is unethical to use pictures that make people believe there are real flowers in the product. Consumers want and deserve the truth. They want to trust products so companies and perfumers need to work to get back consumer’s trust. Every culture in every part of the world has different ways to approach perfume. Perfume is part of culture like food and should be respected. The beauty of our world is its diversity. Perfume is heritage and there is a history of perfume in each part of the world that could be a real source of inspiration for perfumers. Creating scent collections should include stories, purposes and beautiful presentations that can be kept afterwards. From self-respect comes the respect of others, including consumers, who are part of a community and are the best promoters inside of that community. If they are satisfied with a product, they will not only come back to buy more but they will also communicate their satisfaction to others within their network of family and friends. Consumers should get answers to their inquiries when asking information about products or have a complaint directed at companies who put the products on the market. Retailers should also receive enough to have trained people at store level providing accurate information. Remember that each successful transaction means that both parties - buyers and sellers- have to be happy and satisfied. 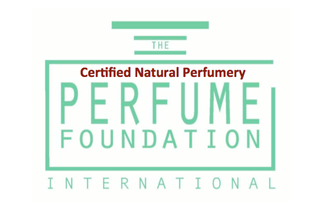 * IPF is certifying the whole fragrance production chain to protect perfumers and consumers health.